Will you ever color: SessKag: Aristocrat and Miko? It's so friggin' pretty! Everytie I across it I freak out and fan girl squeal like a nerd. I logged on to my email yesterday and I was bombarded with your reviews. Each one made me happier and happier. For a while I had truly thought I had lost you along the story and I was wicked sad by that thought! But then you came back with vengeance and I was quite literally jumping up and down as I read each review (seriously I think my fiance is worried). You were one of the first here on Dokuga that began showing me support and I am forever thankful for that! You always have something wonderful to say and I love how you share your thoughts. So once again, Thank you for your continued support of my stories and I wish you all the best in the world. Thank you so much for the reviews on Firangi! It looks like you started reading at the right time, because I think I updated right after I got your second review ahah! I'm glad I could interest you. It's different, and I hope to keep it that way as well as keeping itrefreshing! Thank you! Thanks so much for your review of "Wing"! Your comment about not having read something quite like it makes me happy no matter what you mean. I love to be different! Feedback from Kagome-Miko-207: lol no problem, I really liked it. C= Really looking forward to ur next update. Thank you for the review on "A Feline Fiasco". 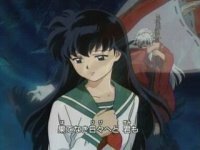 Feedback from Kagome-Miko-207: Oh no worries ur story is good. Dying for the update.